This site offers you the ability to search all Sea Isle City beach homes, condos/townhomes, multi-family and foreclosures for sale. By setting up a search, and creating an account you can receive new listings and price changes daily to your email that meet your criteria. This site has the most accurate and updated Sea Isle City real estate search available. If you are interested in in obtaining information about other beach towns in Cape May County such as Stone Harbor, Avalon, Cape May, or The Wildwoods you can visit the links on the right of the page, or click the advanced search tab on the top of the page. A shore community located in Cape May County, Sea Isle City is a popular vacation town. A South Jersey beach town, Sea Isle offers beach and bay access as well as a lively downtown area with shopping and restaurants. Mainly used as a vacation home area, Sea Isle City does have a year round population but its peak season runs from May through September. 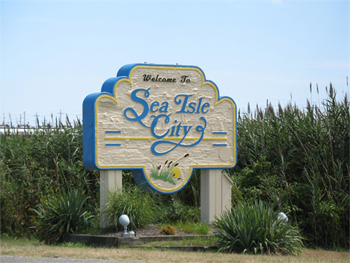 The real estate in Sea Isle City consists mainly of condominiums and townhomes used as second homes or rental properties. With the abundance of new construction homes being built in recent years, Sea Isle City, NJ is a great place for purchasing vacation homes for personal or real estate investment use.